Does your iPhone 3GS have a cracked screen? Do you need an iPhone replacement screen repair? Most of the time the front touch screen of the iPhone 3GS (called the digitizer) can be replaced to return full touch functionality and cosmetic appearance to your device. However, sometimes the LCD screen below is damaged and will need to be replaced as well. If you are unsure which repair you need you can send it in to us for a diagnostic and we will verify the proper repair for your device and then send you a quote for repair. 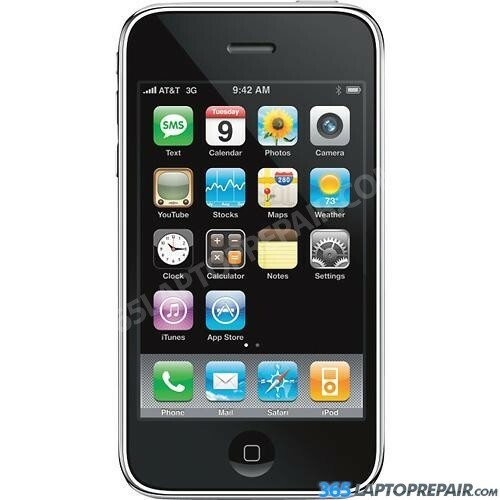 The screen replacement service we provide includes the cost of a brand new touch screen digitizer for the iPhone 3GS and the labor to install it. We use genuine new digitizers, not aftermarket or cloned products. 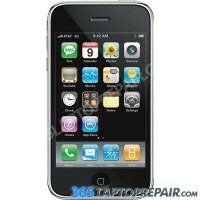 The iPhone 3GS has a touch screen (digitizer) and LCD screen that are separate and can be replaced individually. If you need just the front touch screen replaced please select "Cracked Glass Replacement"
If you need the touch screen and LCD screen replaced please select "Full LCD Assembly Replacement"
If you are unsure of which repair you need, please select the "Complete Diagnostic" option above.